Previously known as “Almanac” and “Welcome to Yesterday,” the found-footage style sci-fi adventure now titled Project Almanac is heading to theaters this January. When a group of high school students find plans to build a time machine, what else can they do but build a time machine? In their initial success, they begin going back in time to change their own lives for the better. Clearly none of these kids have ever seen or read any stories about time travel, because they don’t see what’s coming next – the chaos that results in tampering with the past. Originally set to debut early this year, Paramount Pictures postponed the release and the new date was announced several months later by The Hollywood Reporter. Project Almanac features a cast of relatively new names including Jonny Weston, who has upcoming roles in Taken 3 and The Divergent Series: Insurgent, and Sofia Black D’Elia, who you may know from All My Children, Skins, and Gossip Girl. On the one hand, altering the past and paying for it in the present isn’t a new concept. But with characters watching each other fade away, and threatening to kill one of the group to save themselves from the havoc they’ve wreaked, there’s still a thrill and a sense of wonder about what they do to get to that point of desperation. So yes, time travel stories have been done, but does it really ever get old? 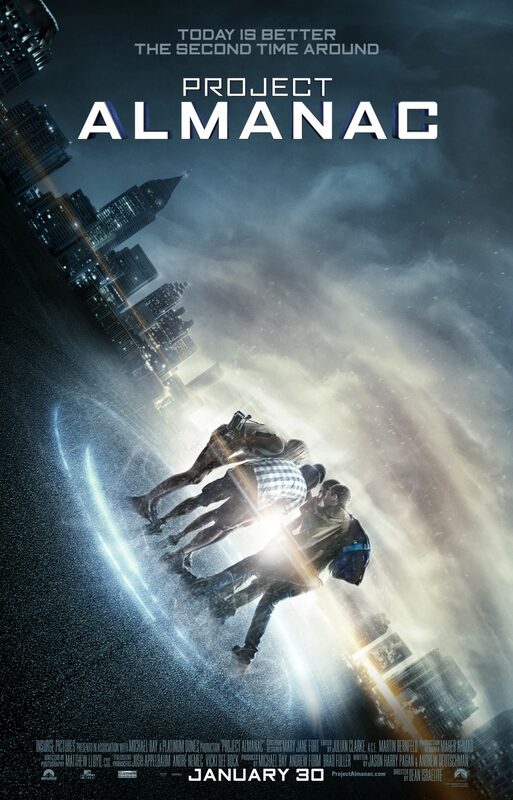 Head to theaters January 30 (via the normal passage of time) to see Project Almanac.